Richard Dawkins is an evolutionary biologist. He is an atheist. He is also the author of one of the most scathing books on religion - The God Delusion. That said, he is someone who feels quite certain that when he dies, it will be the end of it. No going to a place in the sky populated with winged human beings. No going to a fiery place either. But what if he's wrong and there is indeed a God? In the following skit in the web show Mr. Deity, the evolutionary biologist gets the chance to meet God and engage him in a lively conversation. 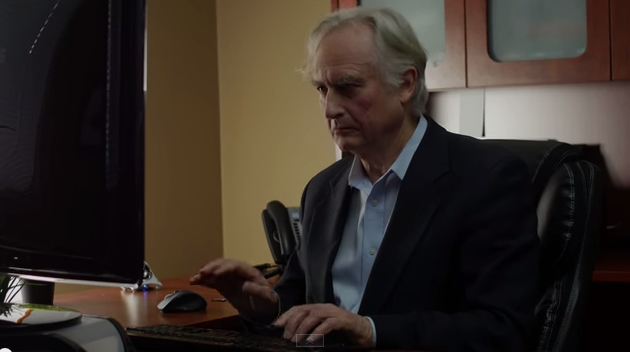 As he always does, Dawkins doesn't mince words in confronting the utterances of God. Like why did he put the retina in the eyes backwards. Or what's up with the recurrent laryngeal nerve in the giraffe. In an attempt to put the biologist in his place, God brings out a banana and makes the contention that it was perfectly designed by him. Dawkins refutes the deity's claim by mentioning the proven fact that the modern banana has been engineered by humans. It could be that this portion of the skit is a jab to Ray Comfort, a young earth creationist who once claimed that the groves in the banana perfectly fit the palms of the human hand because God designed it. Here's the skit. It's pretty dry but there's a few things that can be learned from it. The fake advert at the end was also pretty good.